Unbroken: Path to Redemption (film, 2018). A 2018 American Christian drama film with "PG-13" rating by Pure Flix Entertainment. Directed by Harold Cronk. Official Trailer. 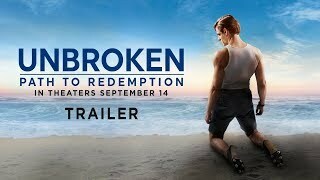 Unbroken: Path to Redemption is a 2018 American Christian drama film directed by Harold Cronk. 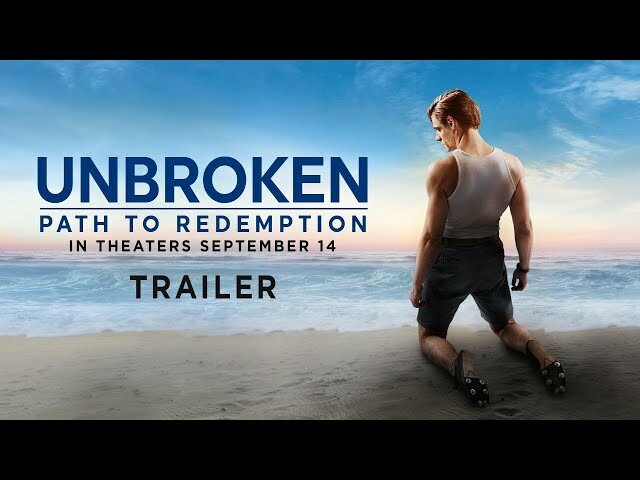 Unbroken: Path to Redemption | Trailer | In Theaters September 14. Based on Laura Hillenbrand's bestselling book, the film begins where the movie Unbroken concludes, sharing the next chapter of the true story of Olympian and World War II veteran Louis Zamperini. Haunted by nightmares of his torment, Louie sees himself as anything but a hero. Then, he meets Cynthia, a young woman who captures his eye - and his heart. Louie's quest for revenge drives him deeper into despair, putting the couple on the brink of divorce until Cynthia experiences Billy Graham's 1949 Los Angeles Crusade, where both find faith in Jesus Christ, a renewed commitment to their marriage; and, Louie finds forgiveness for his wartime captors. The film Unbroken: Path to Redemption was scheduled to be released by Pure Flix Entertainment on September 14, 2018 (United States). The duration of the film is 98 minutes. With a budget of $6 million, the film grossed over $6.2 million. Unbroken: Path to Redemption got average rating from critics. But the audience likes the film. Audiences polled by CinemaScore gave the film an average grade of "A" on a scale ranging from A+ to F.